It has certificate of EMC, LVD, RoHS, FCC compliance. Simple to use: plug it in, set the temp ranges, place the probe, plug in the heater/cooler into the marked outlet. Be able to connect with refrigeration and heating equipment at the same time. Can display in Centigrade or Fahrenheit. 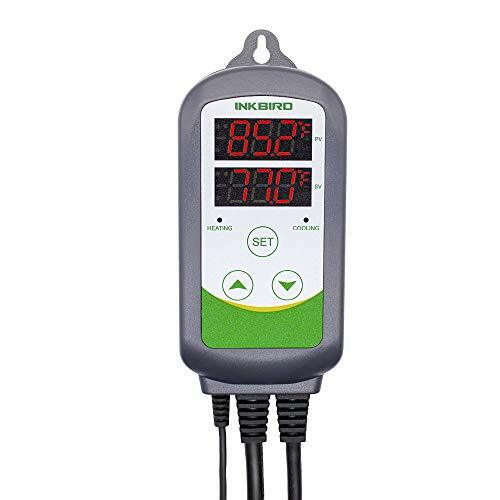 Whether you need temperature control for fermentation, greenhouse, kombucha control or to set up your temperature project system, the ITC-308 temperature controller is a great choice.